Typing ‘rowing’ into the YouTube search engine and then ploughing through the results is rather like rowing itself – you have to do an awful lot of dull and sometimes painful work in order to get gold. After a lot of ‘internet steady state’ I recently experienced the thrill of a big win. A commercial company called Huntley Film Archives has put up an eleven-minute film made at Thames Rowing Club in 1923 or 1924 (not ‘1930s’ as they state). It is particularly exciting for two reasons. Firstly, it shows three of the greatest Putney personalities of the inter war period and secondly, it shows rowing of a very high standard in slow motion and with very close up shots, both unusual for the time. Unfortunately, the internet version is in low resolution and has a copyright ‘watermark’ but the original film held in the Huntley Archive is undoubtedly a sharp 16mm or even 35mm print. The start to 48 seconds shows the exterior of Thames Rowing Club at Putney with crews leaving the boathouse and other crews rowing past. 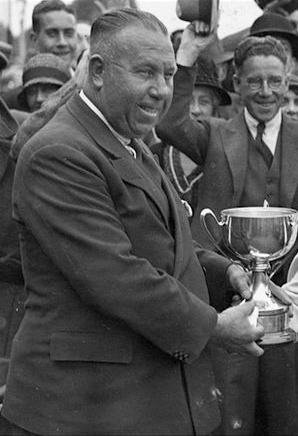 After this there is a ten-second (slightly self-conscious) shot of the great coach, Steve Fairbairn, 1862-1938 (not ‘Fairburn’ as stated). 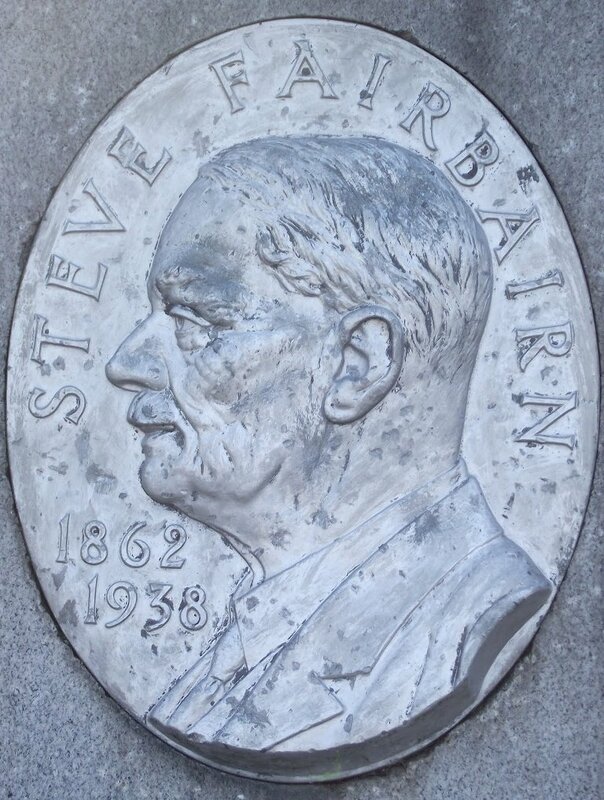 Steve Fairbairn as depicted on the Mile Post. Between 58 seconds and 1 minute 17 seconds the film shows the Thames RC ‘First Eight’ for 1923 with the Henley Grand Challenge Cup. The crew was C.G. Chandler, R.G. Bare, J. Beresford Jnr, C.H. Rew, A.F. Long, K.C. Wilson, H.L Holman, S.I. Fairbairn and J. Godwin. From 1 min 17 sec to 5 min 10 sec there are instructional sequences for sweep rowing showing TRC eights on the water between Putney and Hammersmith. As I have already said, it was unusual for cameramen of the period to get so close to the action. This was not shot on a long lens to achieve the close ups, if it had been the picture would be much more unstable and would have a reduced depth of field. The caption at 3 min 40 ecs says ‘There are not many eights that would bear inspection from the Ultra Rapid ‘. This was British Pathe’s slow motion camera which they were obviously very proud of and which they used in many sporting films. We must assume that these sequences show the classic ‘Fairbairn Method’ of rowing as approved by the master himself. Between 5 min 10 sec and 6 min 35 sec there are marvellous shots of Jack Beresford Jnr. (1899-1977; on the left), Britain’s greatest sculler of the inter war period. 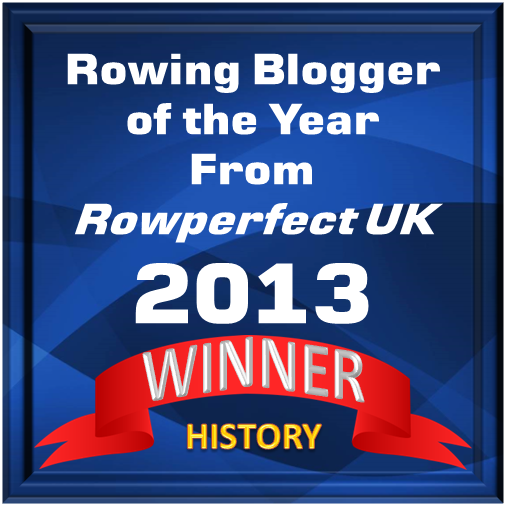 The film is perhaps even better shot than the sweep rowing material. The cameraman must have been standing on the bow of a close-following (perhaps overlapping) launch to get a wonderful high shooting angle of Beresford in his single scull. The caption at 5 min 45 sec says ‘It’s obvious why he is a champion’ and this is very true. The style may not be what we would use today but note the speed with which his legs go down. From 6 min 35 sec we have ‘the don’ts of sculling’, very gamely illustrated by the great coach, boat builder and father of champions, John Thomas Phelps (1877-1942), better known as ‘(Young) Bossie Phelps’ – not ‘Bossy’ as stated. I have never seen pictures (still or moving) of Bossie in a boat before. When you know All about it you will be too old to do it.